Chelsea officially confirmed on Thursday that they were delaying their plans to redevelop Stamford Bridge in a rather abrupt statement on the club site. The Blues were intending on building a new 60,000 capacity stadium having also been granted permission by the council in January to move forward with their plans, as per BBC Sport. However, it looks as though all that will now be put on hold, leaving the entire project seemingly in doubt as Sky Sports suggested that it had nothing to do with Roman Abramovich’s commitment to the club. “Chelsea Football Club announces today that it has put its new stadium project on hold. No further pre-construction design and planning work will occur,” the statement read. 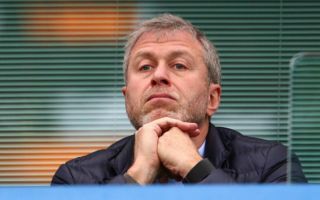 The Russian billionaire has owned Chelsea since 2003, but due to recent political tension between the two countries, issues have arisen, as outlined by Sky Sports, over his visa position which have led to him becoming an Israeli citizen in order to be able to visit the UK. Naturally, that’s far from an ideal situation for Abramovich and his business here in running Chelsea, and so linking the two matters together, there was already concern amongst the Blues faithful over how it would impact his desire to continue with the club, as seen in the tweets below. While the statement from the club would have gone some way in reassuring them, coupled with the Sky Sports report above, Stan Collymore has seemingly painted an entirely different picture and suggested that Abramovich could be seeking an exit. Given he works for Russian broadcaster RT and has his own show on the network, perhaps Collymore does have his contacts in Russia to make this a legitimate claim. If it is, it really is a worry for Chelsea as ultimately Abramovich has played a major role in bankrolling the club over the past 15 years to allow them to enjoy their most successful period. Just heard from Russia that Roman is so disgusted with his Visa situation that he’s thinking of cashing his chips in! I can sense roman selling this club.mark this tweet. So, I guess we are selling the Club right? No more Roman?